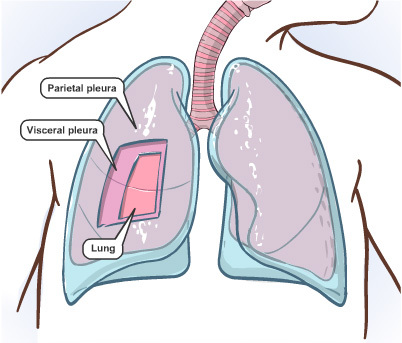 This illustration demonstrates the relationships between the lung and the pleura. It is part of an interactive module aimed at teaching parents anatomy and physiology of the respiratory system. This illustration is part of an online module designed to teach parents about respiration. It is part of a series that explained the structure of the lung. More of this module can be viewed on the Sickkids Hospital About Kids Health website. Please note that the beautiful illustrations of children in this module were created by the very talented Marisa Bonofiglio. I worked as a multimedia developer for SickKids Hospital's About Kids Health website (http://aboutkidshealth.ca/). About Kids Health (AKH) is a website designed to provide parents with information about child health and well being. I developed content for the How The Body Works section of the site. How The Body Works is a visual guide to child physiology. I worked to redevelop the Respiratory System section.